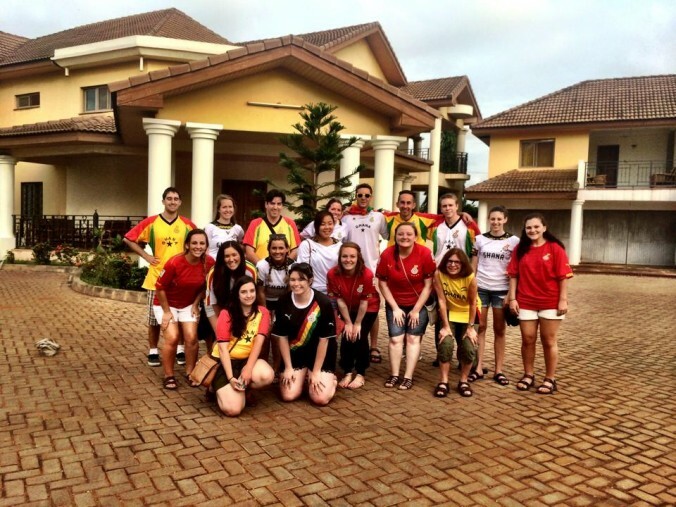 My summer in Ghana has been the most life-shaping and amazing experience of my life. I am so glad to have had the opportunity to travel and intern abroad. 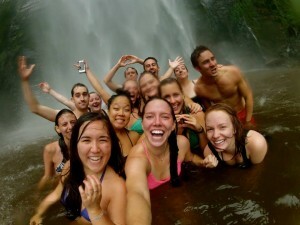 I had so many amazing experiences that it was difficult for me to choose just one to write about but I decided to write about hiking to the Wii Waterfall in the Volta region of Ghana. We started on our adventure early Saturday morning. We were all excited to stretch our legs after our eight hour drive the day before (it was only supposed to take 3 hours). We drove for another hour to reach our destination. 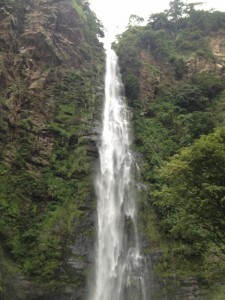 The Wii Waterfall is a well-known attraction in the Volta Region. It’s the largest waterfall in West Africa and is tucked deep into the Volta jungle, near the Togo border. The 16 of us set off with our tour guide Michael, our chaperone Sonny, and Professor Ed Madison from the SOJC. We were all struck with the beauty of the area and it was a pleasant change of scenery and pace from the hustle and bustle of Accra. We were hiking to the bottom of the waterfall, not the top because the top would’ve taken six hours to hike to. The hike to the bottom took 45 minutes. We all walked along together, laughing at the fact that our tour guide Michael, somehow still had phone service deep into the trip and continued to talk on the phone until we reached our destination. We broke out of the trees and saw the base of the waterfall. It was beautiful with and awe inspiring. We had the opportunity to swim and all of us waded out into the water. It was cold and refreshing. We all tried to swim out as far as where the water landed but the spray was too intense. We had a lot of fun swimming and playing around in the pool. Our hike back to the bus was enjoyable also, but we were sad to leave the waterfall.